Shahara Godfrey has followed the teachings of the Buddha since 1989, with her primary practices in Compassion and Social Activism. She has completed the Community Dharma Leadership Program, the Dedicated Practitioner Program, and the Path of Engagement programs at Spirit Rock, and received her Ph.D. in Humanities with a focus on Transformative Learning and Change from the California Institute of Integral Studies. In addition, she is a core teacher at the East Bay Meditation Center in Oakland, CA. 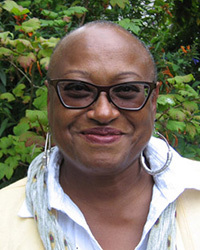 Here is an interview at Spirit Rock Speech Happens: An Interview with Shahara Godfrey (July 2012).